BasketBall. . HD Wallpaper and background images in the Mario and pêche, peach club. This Mario and pêche, peach fan art might contain anime, bande dessinée, manga, and dessin animé. She loves me ou not? Mario and Princess pêche, peach Honeymoon Love. 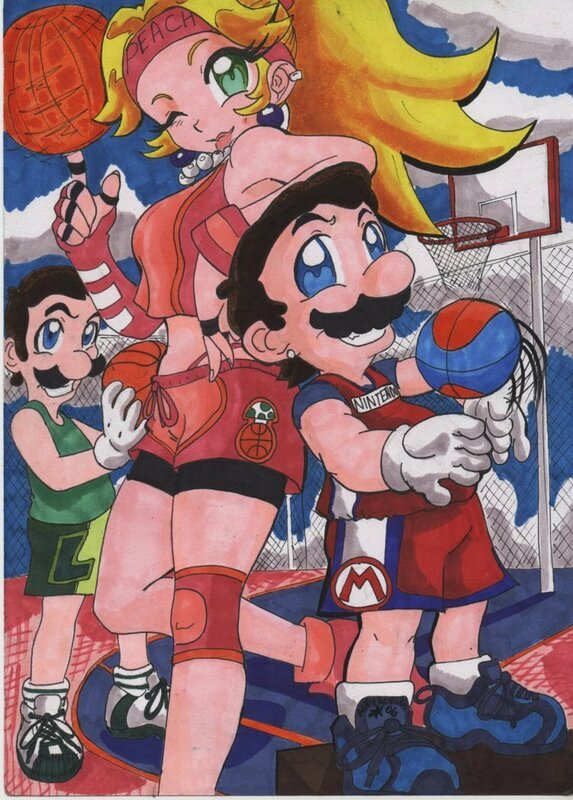 yes,she does have blue eyes,but you at least tried your best to remember what color her eyes were.But,I don't think Mario and Luigi wear those specific outfits for basketball.I think they just wear their casual overalls.But correct if I'm wrong.I don't have the game.Or know about the game for that matter. Wow they look like gangsters!